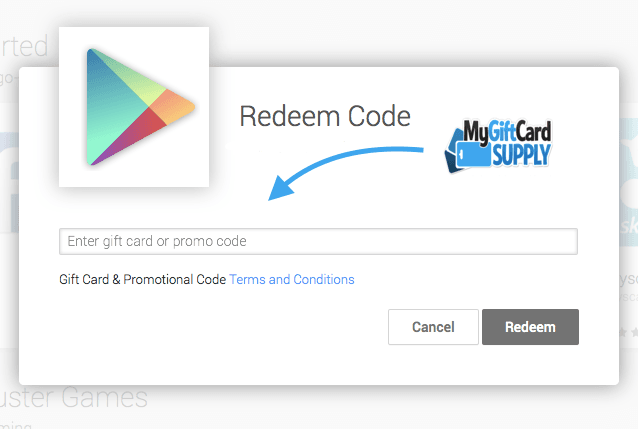 How to redeem your Google Play gift card on a PC, Mobile or Tablet. 2. Enter your Google Play Gift Card, and click Redeem. 1. During the checkout process, select the payment drop-down box. 2. Chose the option to redeem. 4. Follow the remaining steps found on the page instructed by Google. 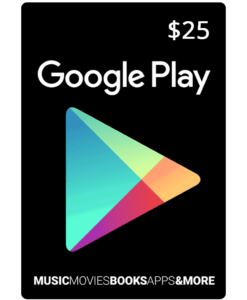 A common error when trying to redeem a Google Play gift card from the US is the billing address on your Google Play account must match the country of the gift card. IF you’re using a Google Play gift card from MyGiftCardSupply, then it is a US card. Please change your account address country to United States, and then proceed with the redeem instructions above. 2. Click the gear icon in the upper right. 4. Update your address to a US address, and click Save. If you’re still having any issues redeeming a card or need support, please send an email to [email protected] or open a support ticket. Thanks for checking out our tutorial on redeeming your Google gift card! If you need to buy a Google gift card please visit our website. We offer fast email delivery on all purchases, to anywhere in the world!